Gardena Valley Towers Co-op, built in 1999, consists of 4 floors and has 80 units (79 one bedroom apartments and 1 two bedroom apartment). Gardena Valley Towers Co-op is a great place to live; you can be active and join committees and you have a say in how the building operates. Resident members enjoy the peace and privacy of their apartments, but also enjoy participating in the frequent community activities. Come join in on Breakfast Potluck, line dancing, card playing or just relaxing with friends. Gardena Valley Co-op Apartments does not allow smoking in any common areas, and within 25 feet of the building. The co-op is conveniently located near I-405, 91, 110 highways. There are several banks, restaurants, supermarkets, medical facilities, libraries, police and fire departments, and a post office-- all within walking distance. The bus line takes us directly to nearby shopping malls, beaches, and other entertainment sites. 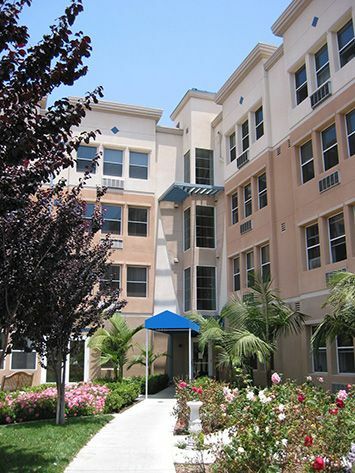 Gardena Valley Towers Co-op is affordable for everyone. Every unit has subsidy and resident members pay only 30% of their income for rent. So don’t wait! Join us today! Gardena Valley Towers Co-op is proud to be recognized as a NAHMA Communities of Quality Corporate Partner. This designation is for multifamily properties that have achieved a high standard of excellence in the way they are managed, the services they provide residents, the experience and training of personnel, and other criteria.